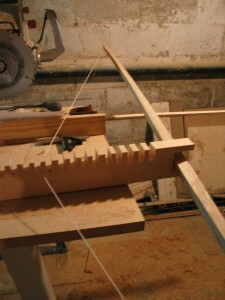 I will soon be taking lessons in bow making with Mike Meusel, a local bowyer in Toronto who teaches bow making. For each lesson I am planning to post photos of the progress made, and possibly videos of the process. For those people who like DIY projects, learning to make your own bow for archery is a pretty good skill to have, and an enjoyable experience in my opinion. Having made bows since the age of 10 (many of my early bows broke easily) I have never NOT enjoyed making a bow. Even if it breaks I still enjoyed making it. Thus it will be interesting to be making bows and have actual lessons in the craft. The Traditional Bowyer's Bible - Volumes I, II, III and IV. Yep, four volumes of amazing-ness. Worth every penny.